From what I have seen in the forums, a number of folks have struck a route pretty much straight across the core of the galaxy. For me though, I have decided to take the more leisurely route clockwise along the arm of the spiral in which we live. I may also zigzag up and down a little a try to find a path which contains undiscovered systems. You can see the route I thinking of below. Thank goodness, we don't need to take our own provisions, or the ship would need to be something like a capital ship! I am also thinking about backtracking along the outer spiral once I can jump across to it, and see what lies in the outer rim. Scary stuff! To keep a log of where I have visited, I intend to tabulate the systems with some basic information, (as you can now see below). 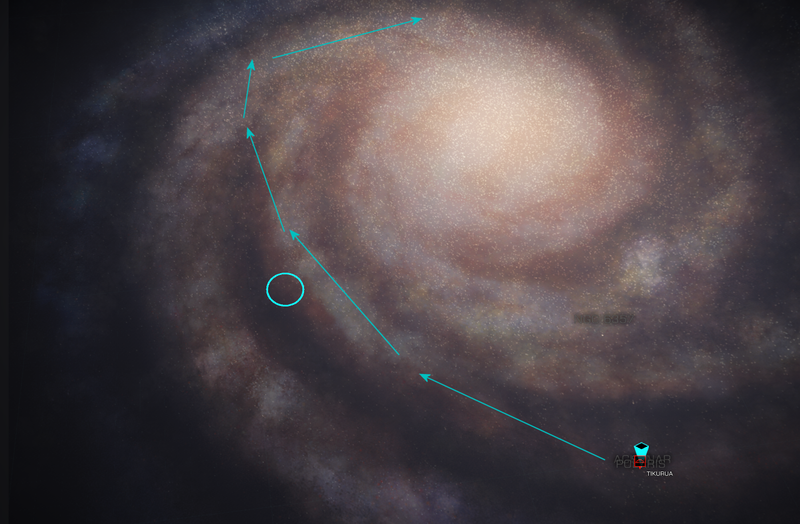 I am not sure about exploring each system I jump to early on, unless it has not been discovered before, but I will keep a note of what I have scanned. 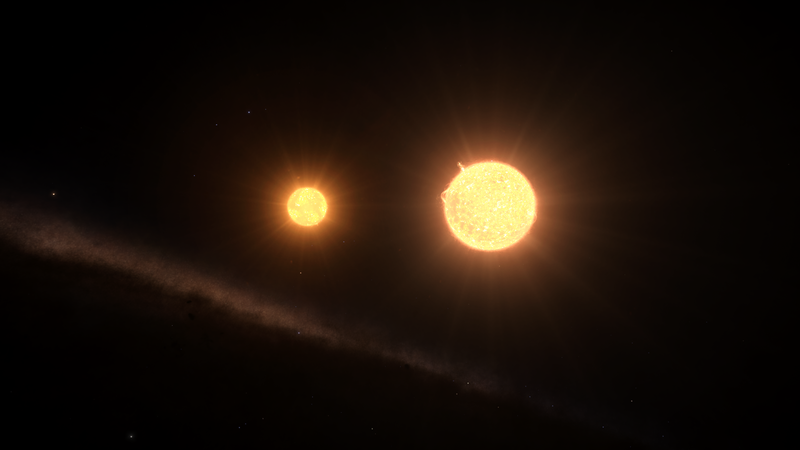 As this trip will take quite a long time, I don't want to waste too much time discovering systems that are close by, that I can do outside this trip quite easily. As far as my tabular log is concerned, I wont be publishing the exact route with all the information on what has been previously explored, or whether I have explored it, especially this close to the bubble. What I dont want to do is to give other players locations of un-discovered systems, where they can pop out, explore it, then return and get their names on the various planets. However.... when I return from this expedition, and sell all of my data, I will publish the whole trip with locations, so all of the data will be available in the future. My start point is Khrunov City in the Tikura system. This is belongs to Edmund Mohan who is the Alliance Prime Minister. I don't have any allegiance to any faction at the moment, but I might pledge myself to one of them for some power play when I return; assuming I get back at all! 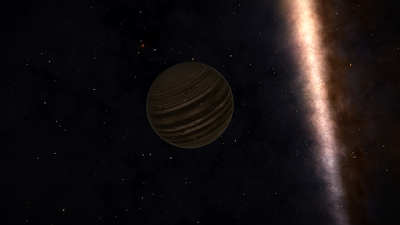 COL 285 Sector NO-G C11-23 M ✔ 30.4 2 Suns Very close i.
COL 285 Sector AJ-T B19-0 M ✔ 26.7 First gas Giant with water based life! ii. A few pictures from these systems. Nothing exceptionally stunning, well maybe the water world. ii. My first Gas Giant that supports life! 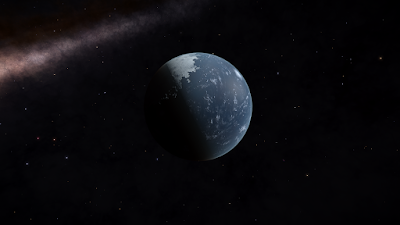 A beautiful water world with great weather systems.